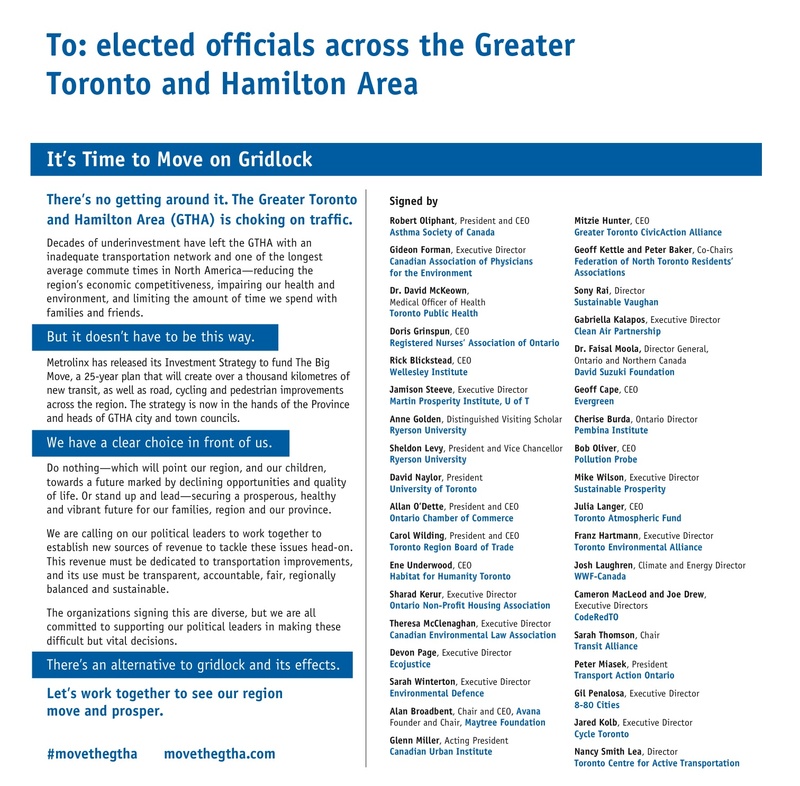 This morning, the Move the GTHA coalition released an open letter to elected officials across the GTHA, signed by three dozen organizations across all sectors and across the region. This letter calls for political leaders to work together and establish new sources of revenue for transportation improvements that are dedicated, accountable, fair, regionally balanced and sustainable. The letter is reproduced below, and you can learn more at www.movetheGTHA.com.